Rhododendron × hemigymnum (Tagg & Forrest) D. F. Chamberlain (Notes Roy. Bot. Gard. Edinburgh 37: 333. 1979 [“hemigynum”]; R. chaetomallum I. B. Balfour & Forrest var. hemigymnum Tagg & Forrest, Notes Roy. Bot. Gard. Edinburgh 16: 189. 1931), described from Xizang, is a hybrid between R. pocophorum and R. eclecteum. 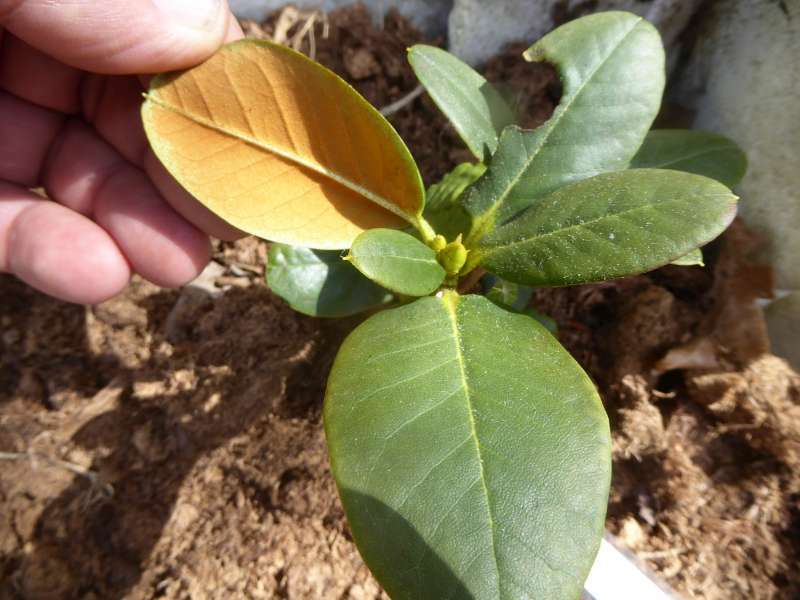 It is intermediate between the two putative parents, with the broad petiole, leaf blade shape, and setose to stipitate-glandular young shoots and petioles of R. eclecteum, but with a leaf indumentum more typical of R. pocophorum. Both parents occur at the localities from which this entity has been recorded.